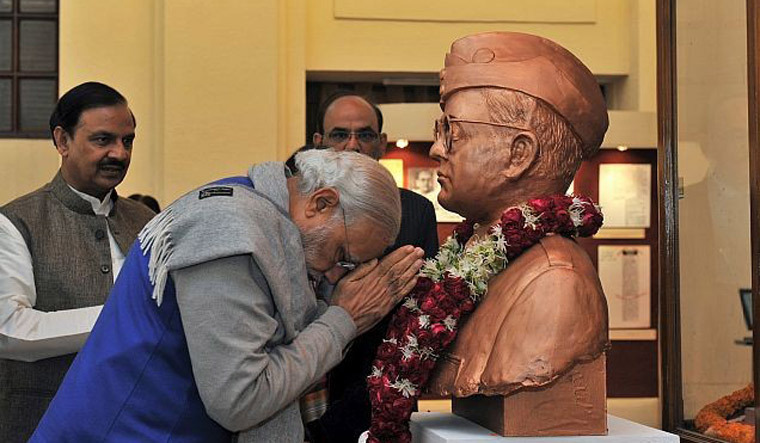 Prime Minister Narendra Modi will inaugurate the Subhas Chandra Bose Museum at Red Fort on Wednesday to mark the leader's 122nd birth anniversary. Modi will also visit the Yaad-e-Jallian Museum (museum on the Jallianwala Bagh and World War I) and the museum on the 1857 revolt that marks India's first war of independence and Drishyakala Museum on Indian Art at the same venue, a statement from his office said. The museum on Bose and the Indian National Army showcases various artefacts related to Subhas Chandra Bose and INA. The artefacts include a wooden chair and sword used by the leader, medals, badges, uniforms and other artefacts related to the INA. The Yaad-e-Jallian Museum provides an authentic account of the Jallianwala Bagh massacre that happened on April 13, 1919. The museum will also showcase the heroism, valour and sacrifices made by Indian soldiers during World War-I. The museum on India's first war of independence portrays the historical narrative of the 1857 war, showcasing the valour and sacrifices made by Indians during the period. The Drishyakala- Exhibition on Indian Art showcases art works from the 16th century till India's independence.